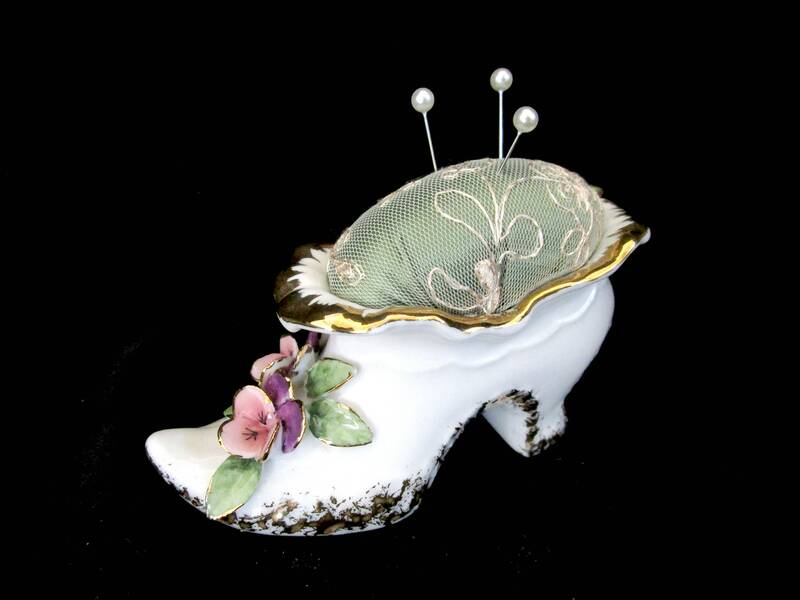 The pictures say it all, lovely pincushion fashioned as a lady's shoe or boot. Flowers and scalloped top trimmed in gold, this pincushion is victorian in style. In Excellent condition, perfect gift for a seamstress, or as a gift for setting on display on a vanity. Measures 4 1/4 inches long by 2 3/4 inches long. Unmarked on bottom, no chips or cracks, sits straight and true. This linen was even more beautiful than I expected and was packed with as much attention to detail as the cloth itself.